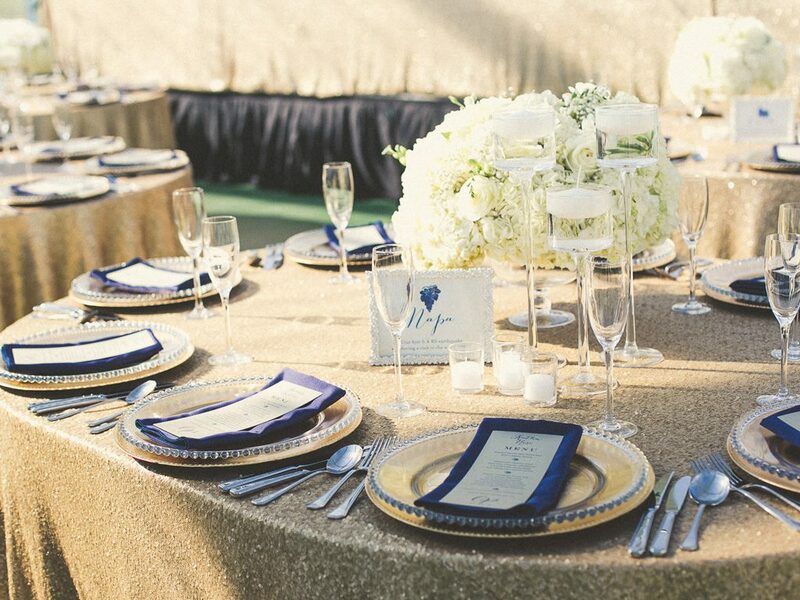 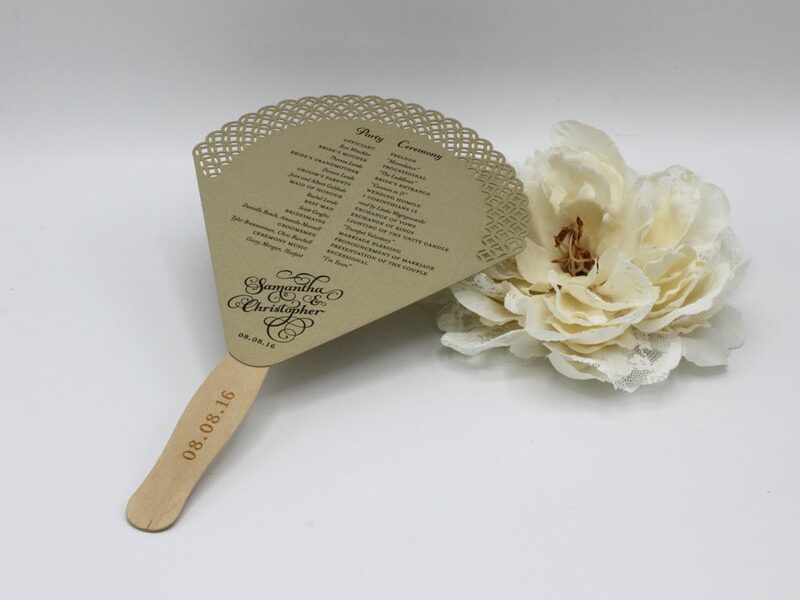 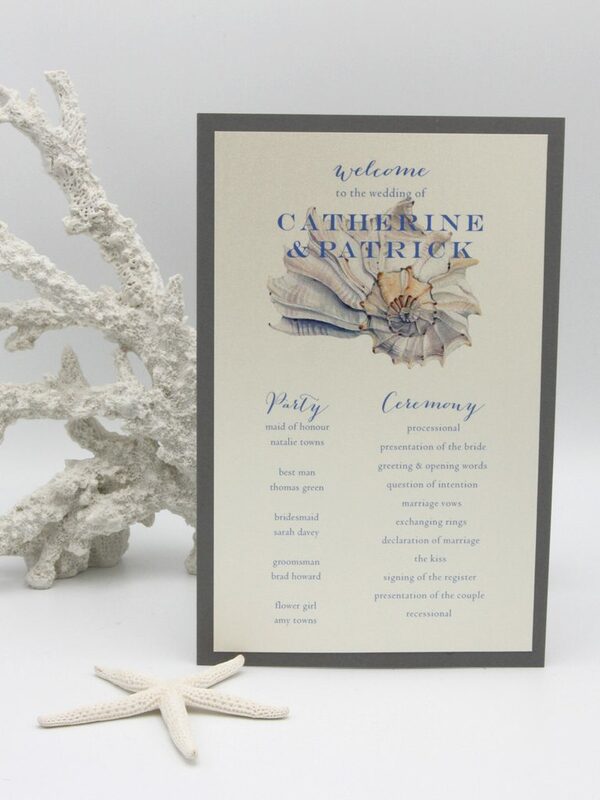 As you tie the knot, the thing that will make your ceremony and reception memorable is your attention to detail. 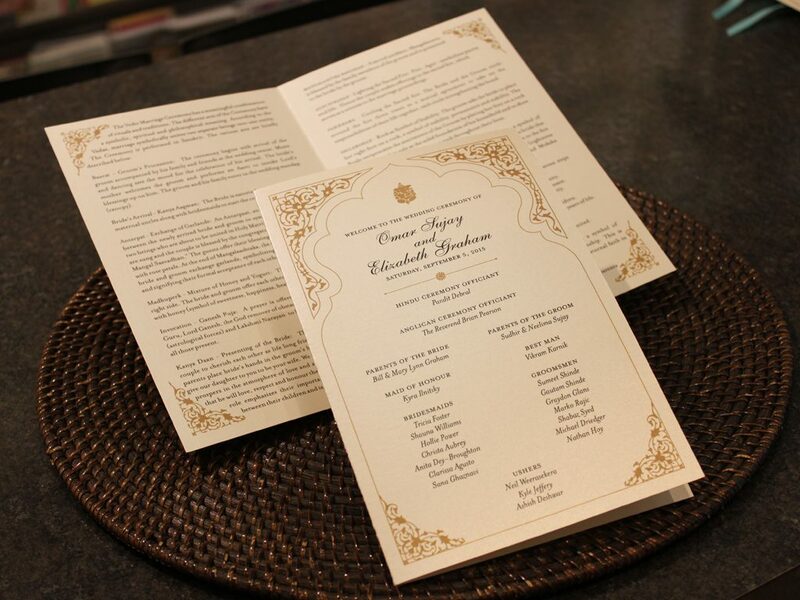 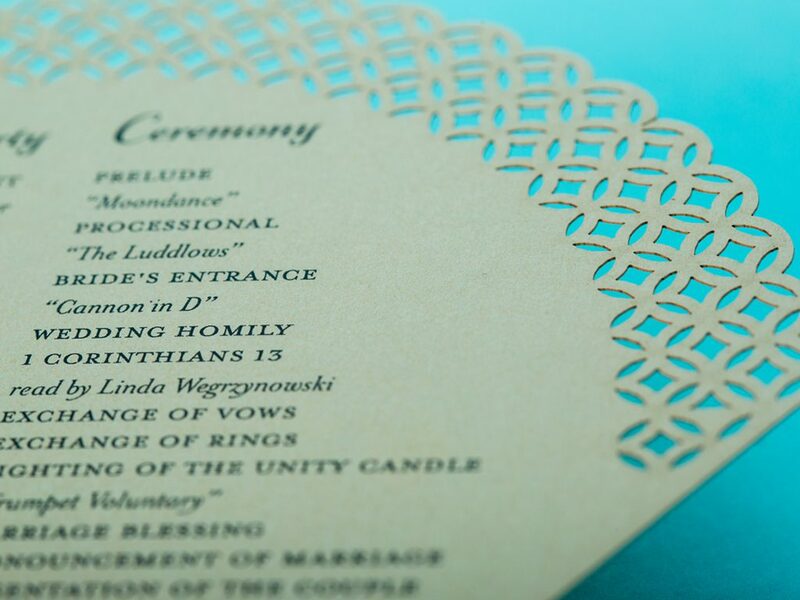 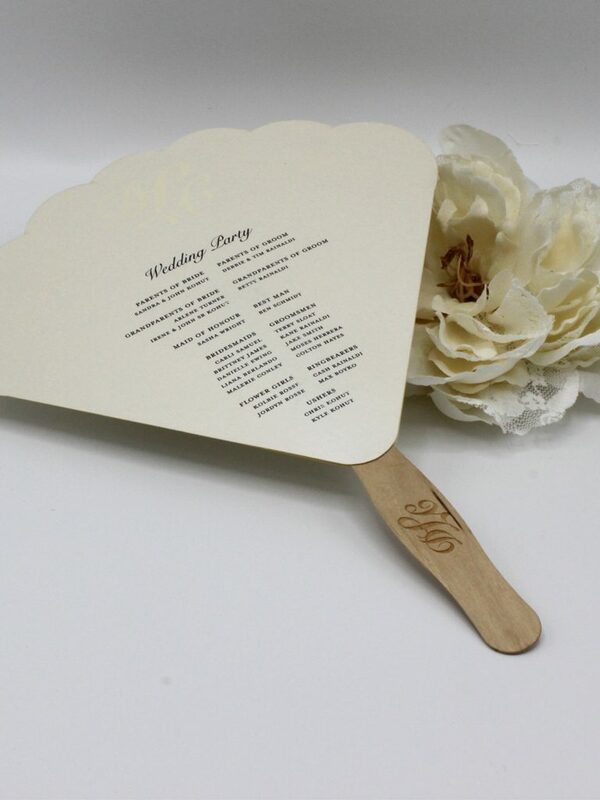 And one of the most significant features of any wedding day is the wedding program. 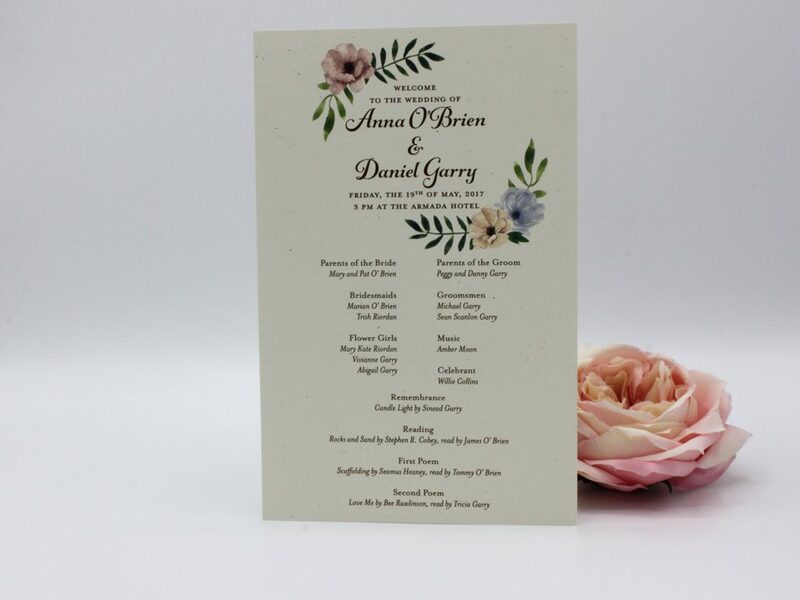 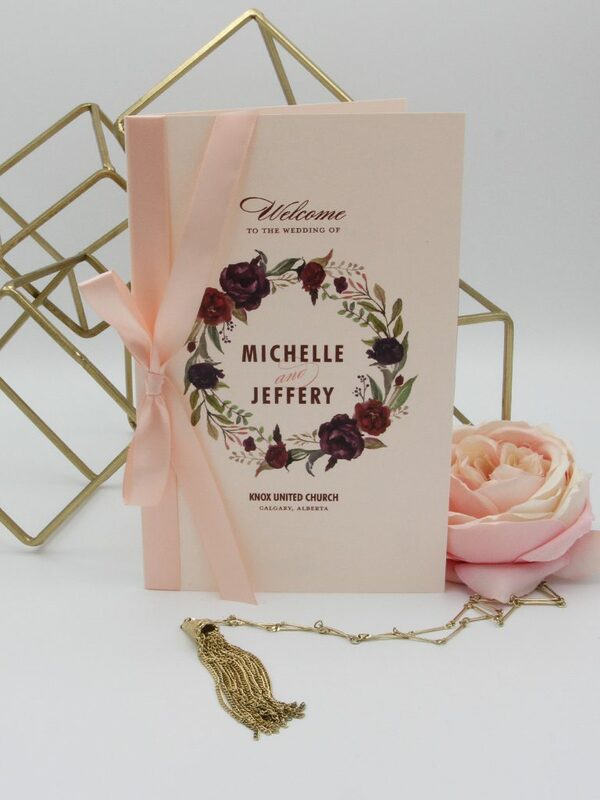 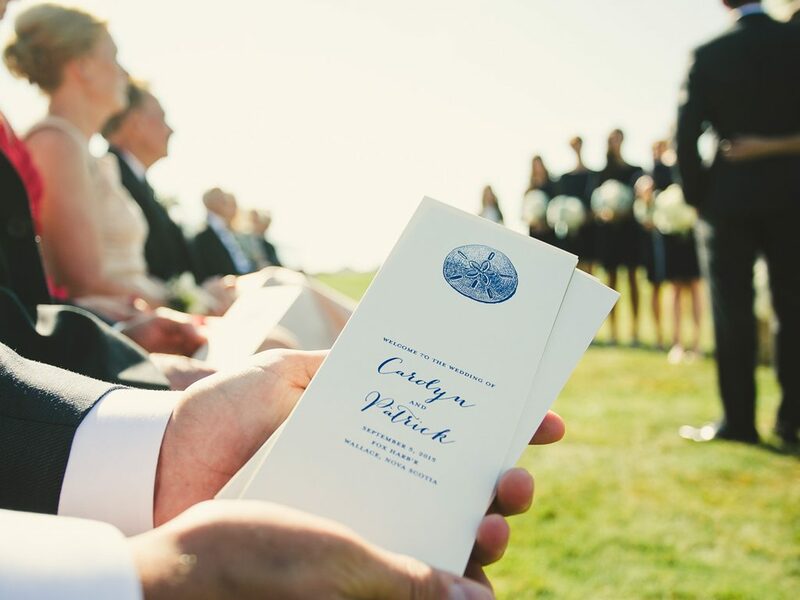 Wedding programs are a vital part of the ceremony because they tell your guests who each person in the bridal party is, the structure of the ceremony, and who the speakers and readers are. 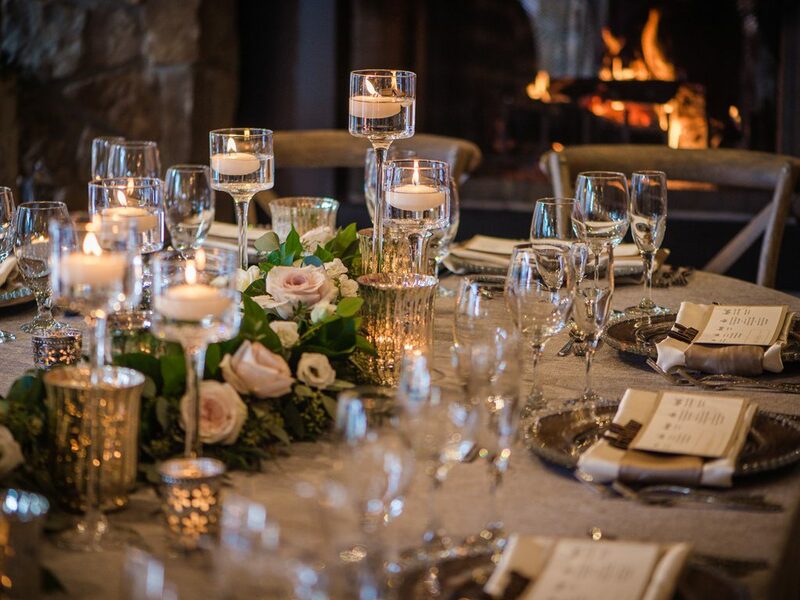 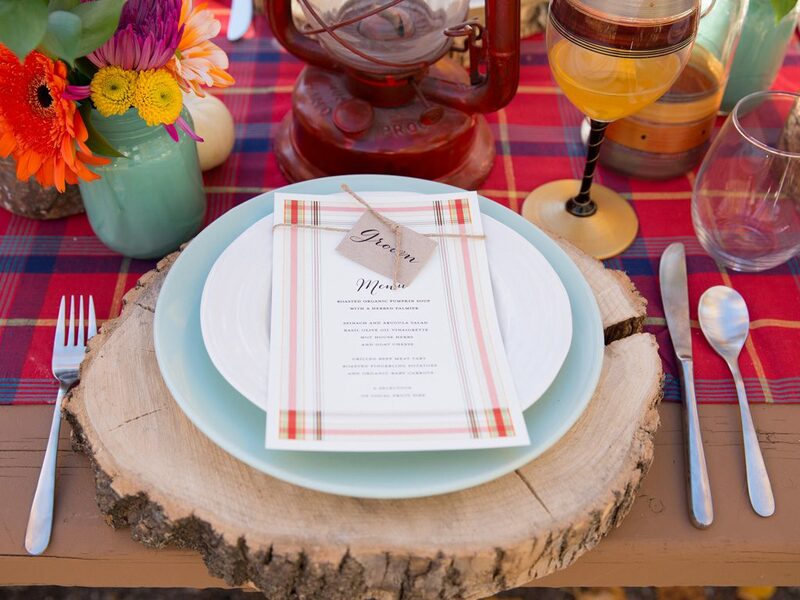 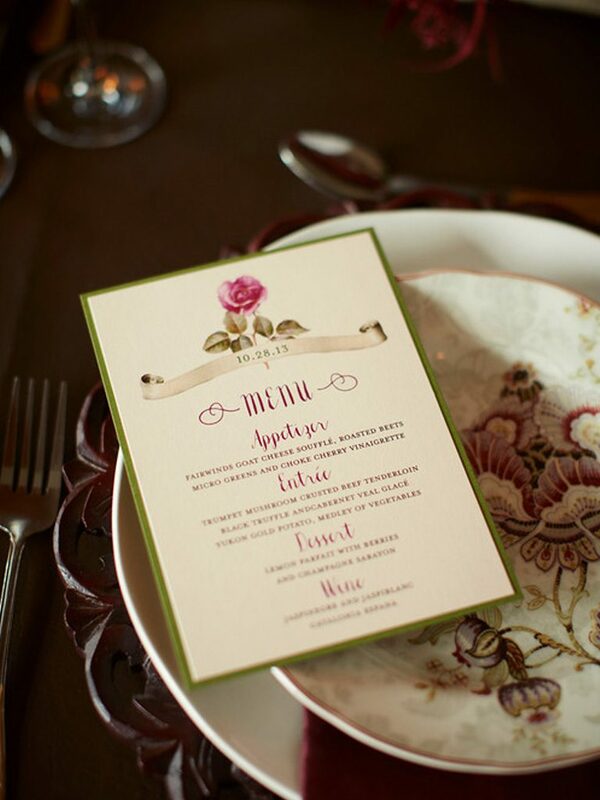 By providing them with these essential details, guests will certainly remain engaged at all times. 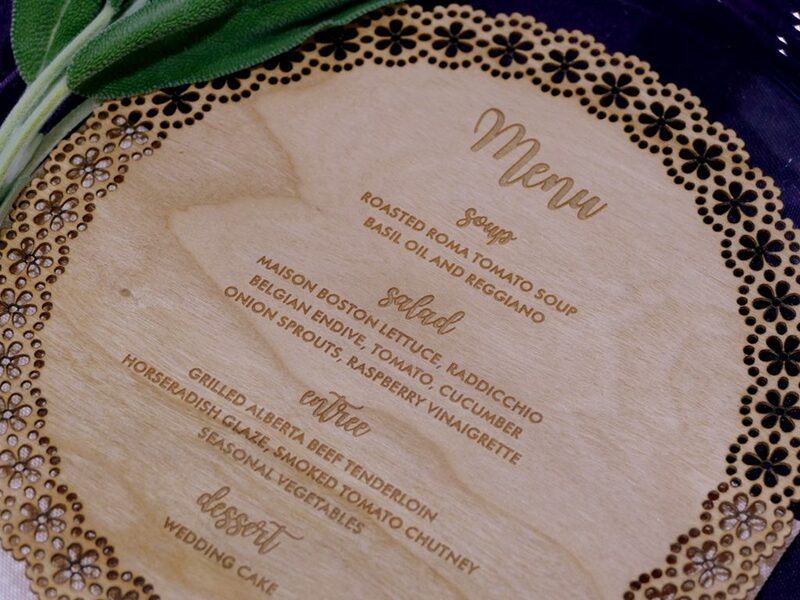 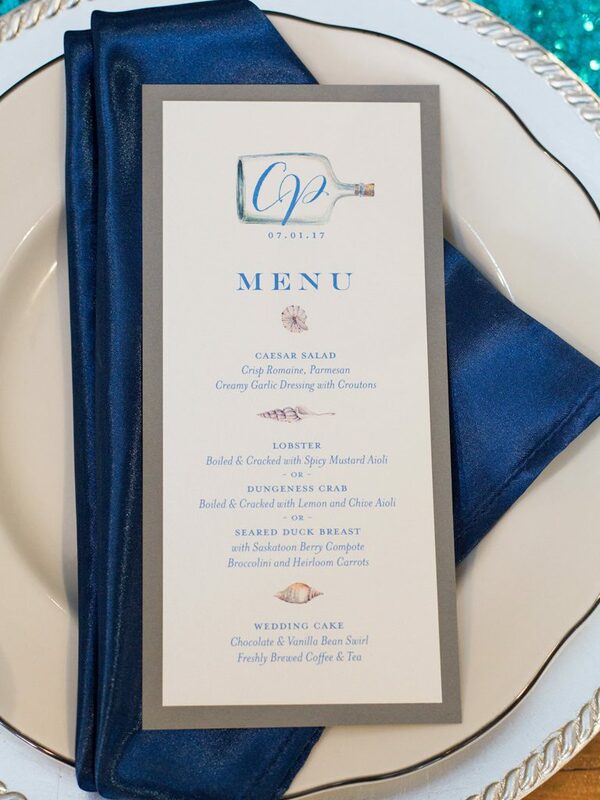 Wedding menus are perhaps one of the most looked forward to after the wedding program; everyone loves to know what they will be eating! 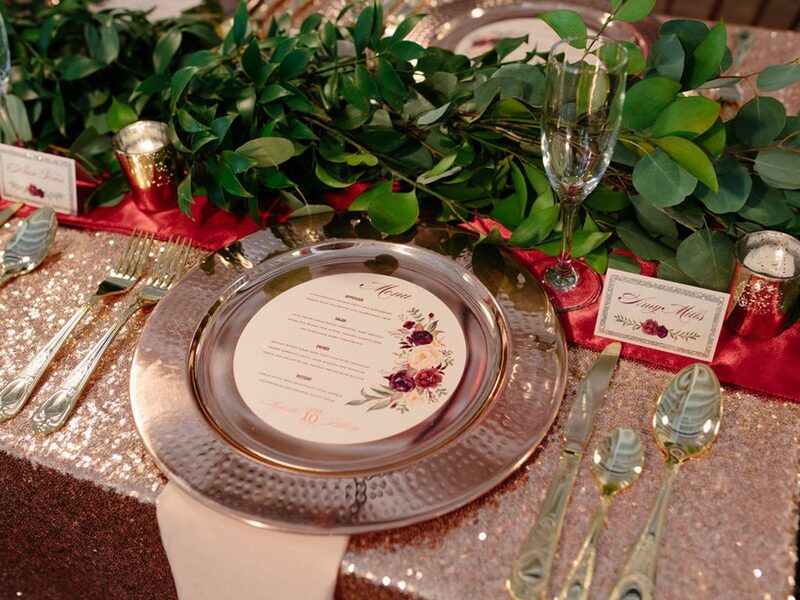 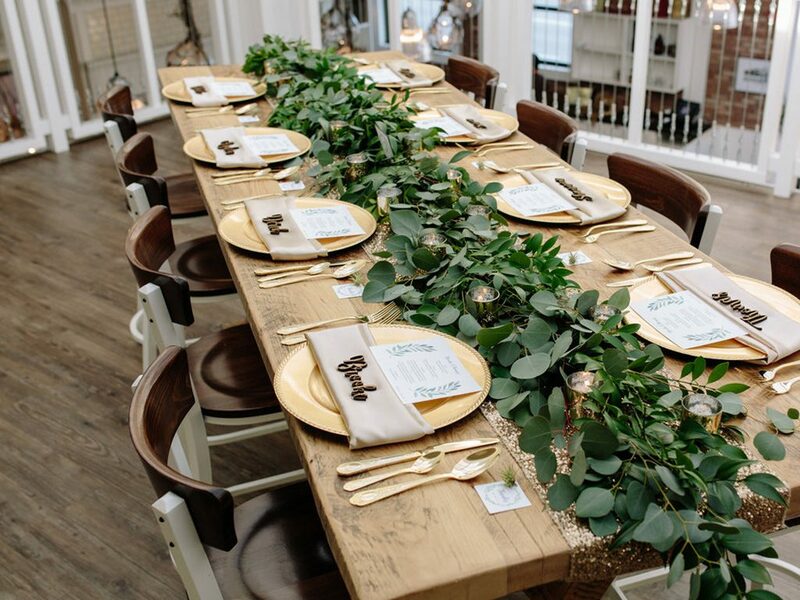 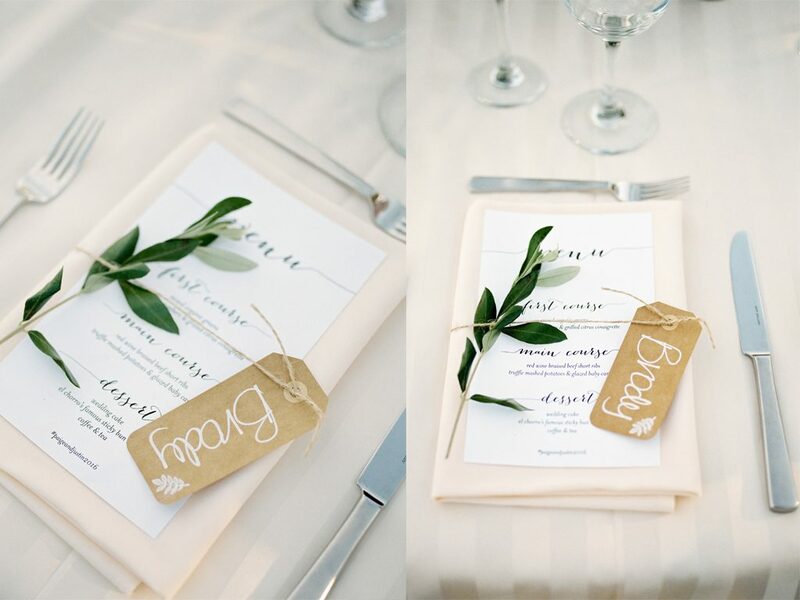 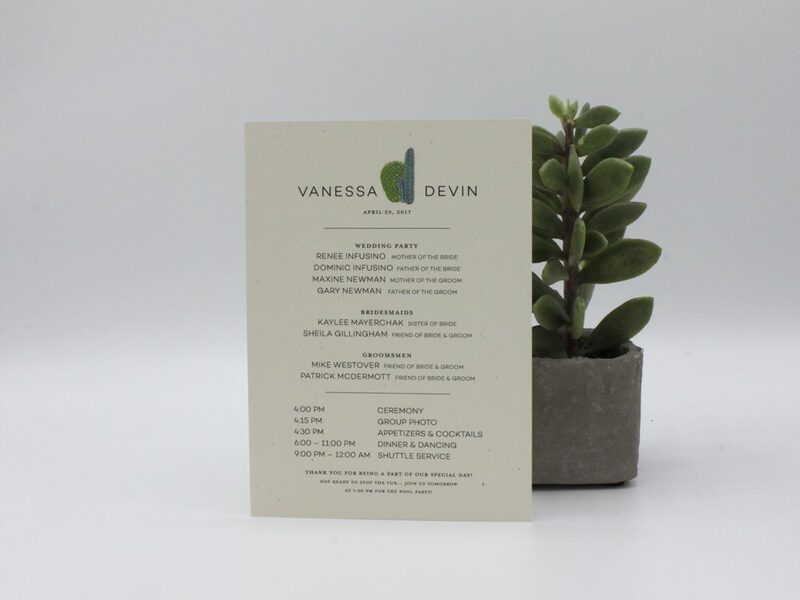 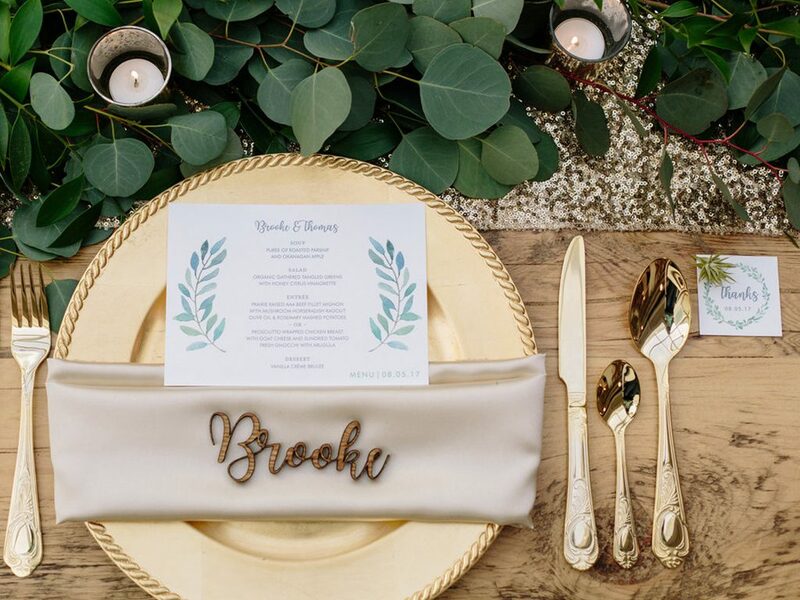 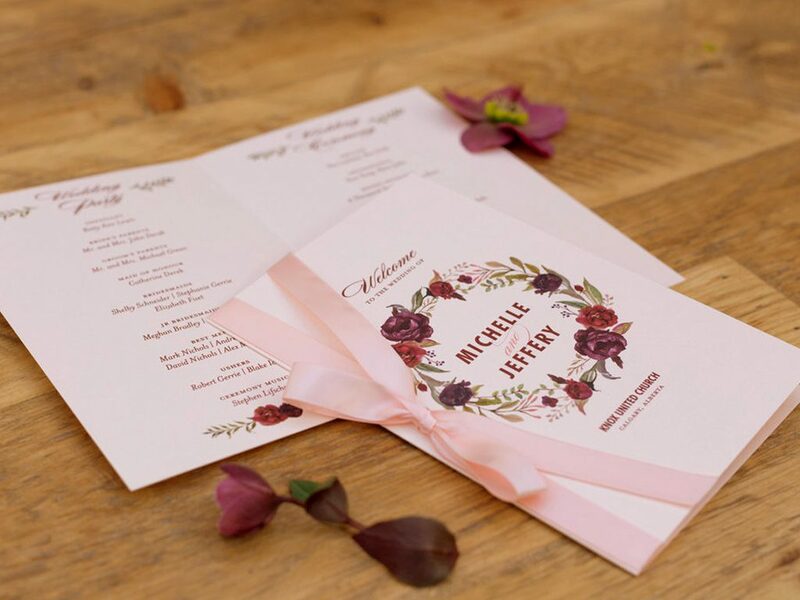 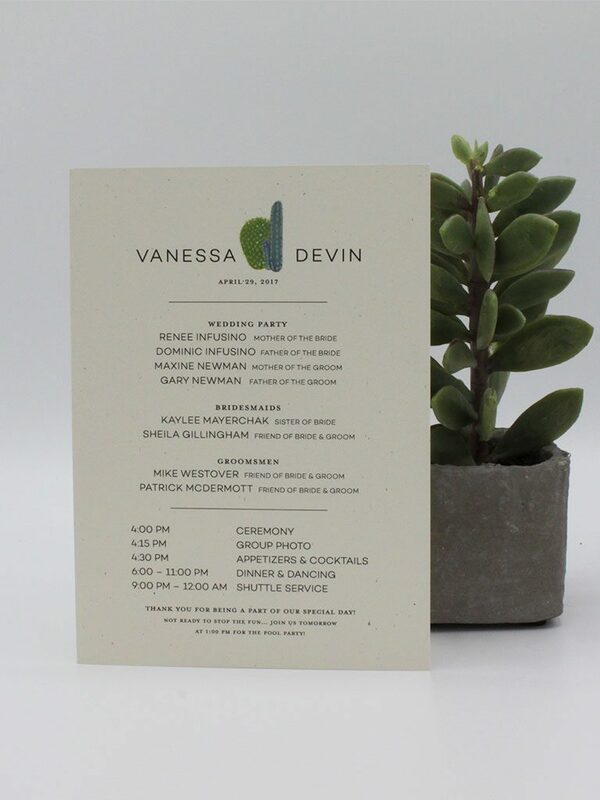 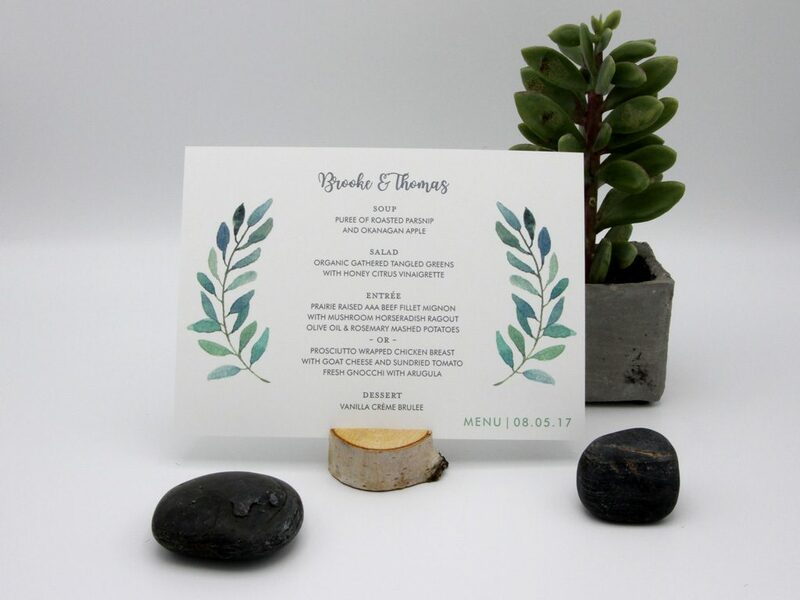 Before you can begin to fill in the information in this step you’ll need to have a sit down with your caterer to settle exactly what should go on the menu including your vegetarian or gluten-free options. 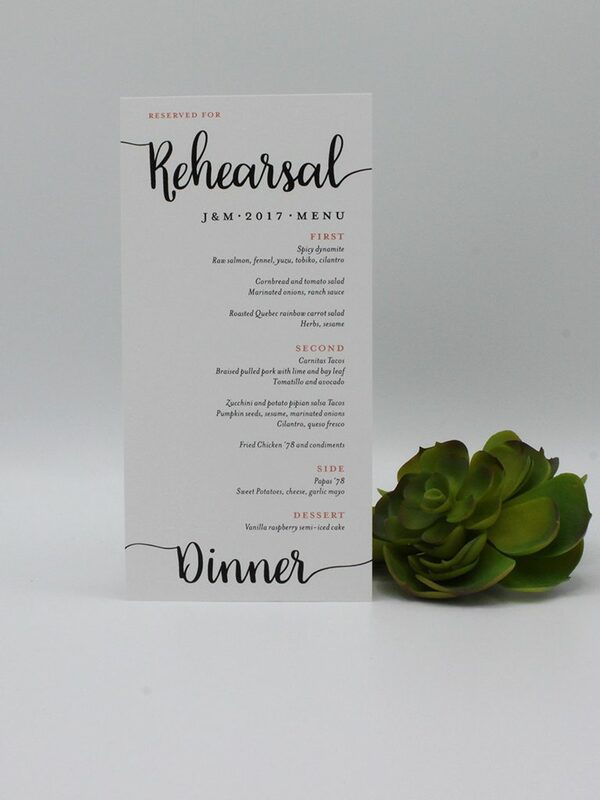 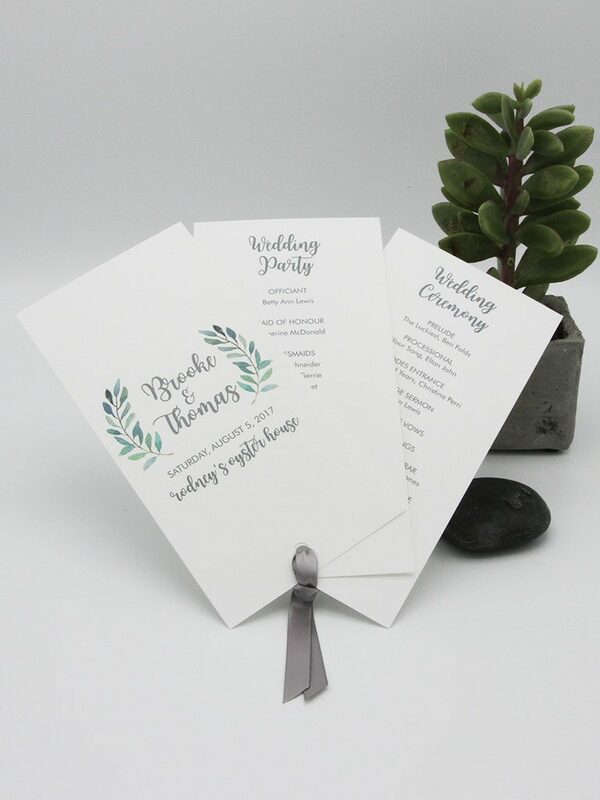 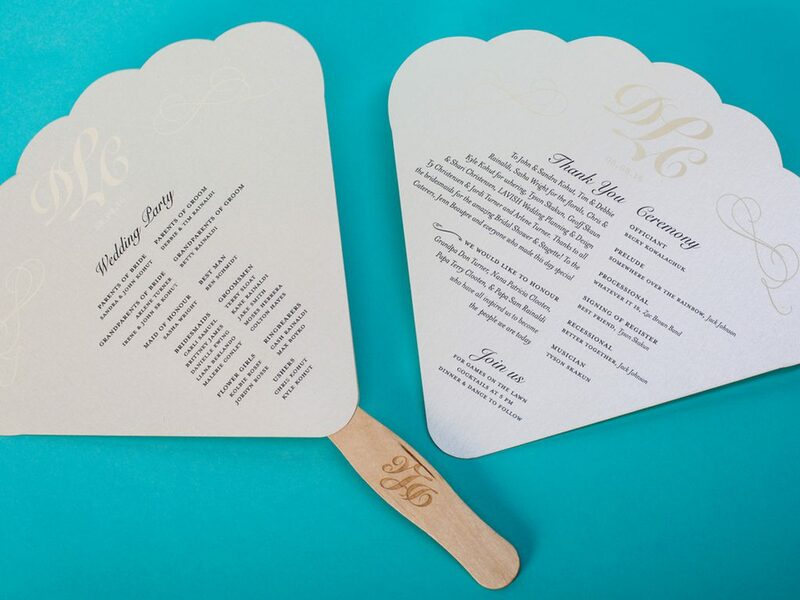 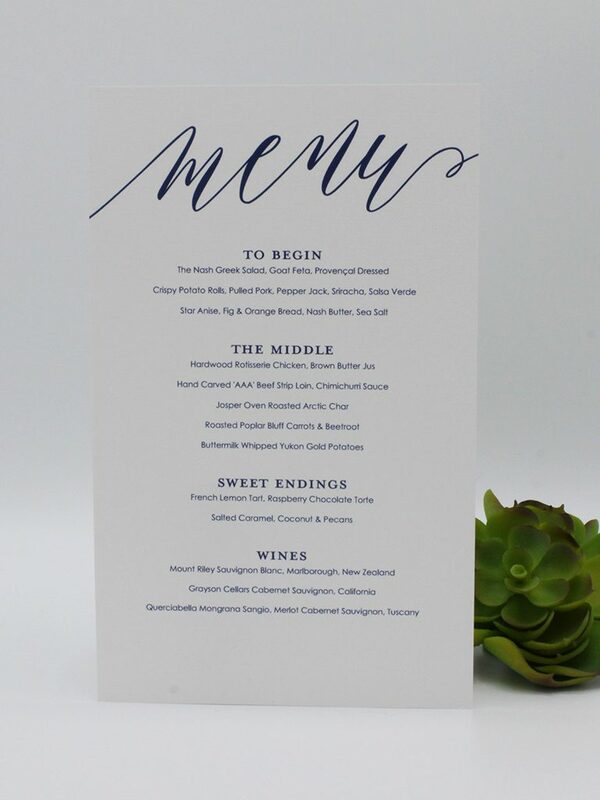 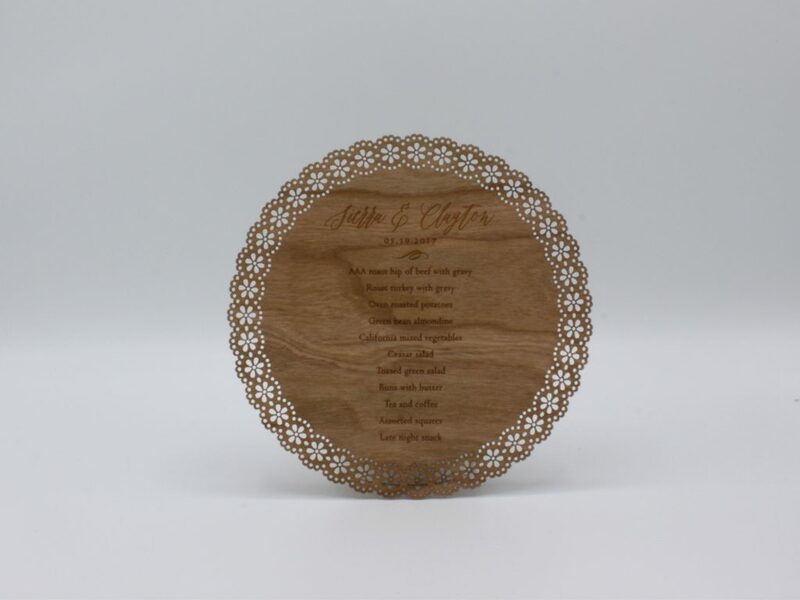 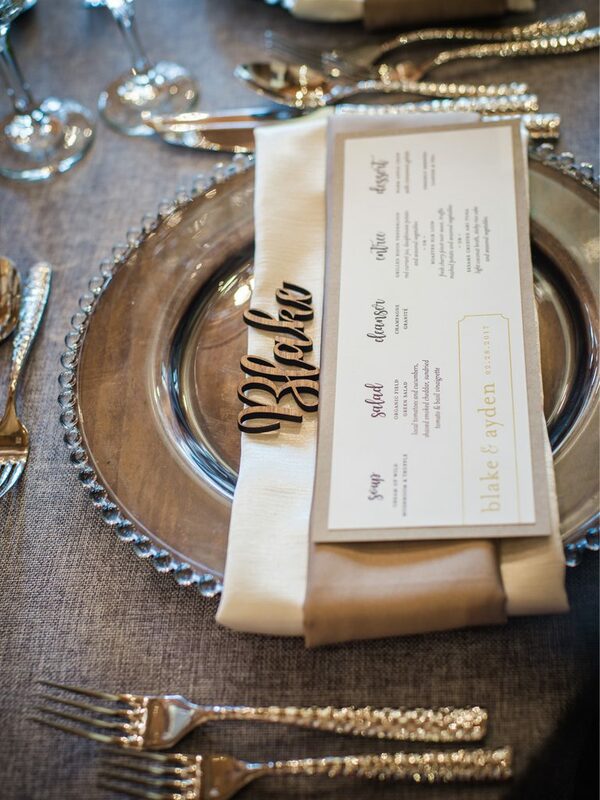 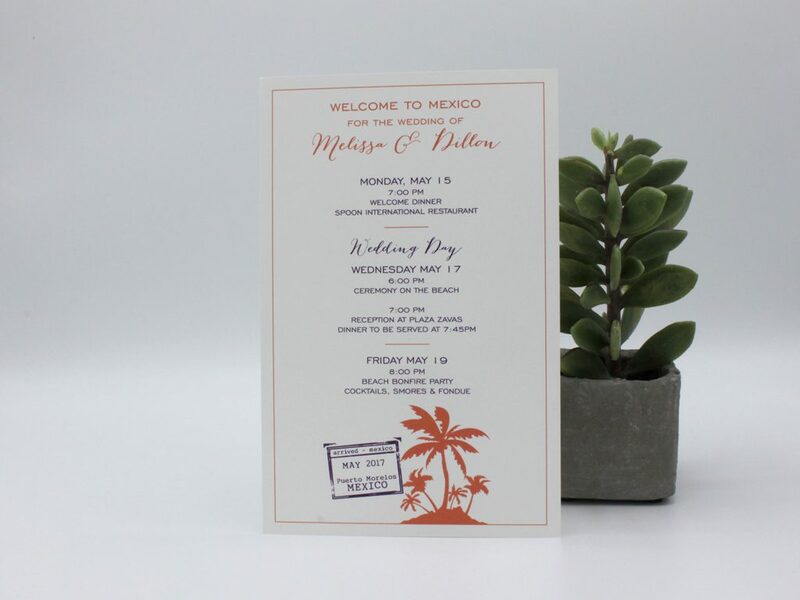 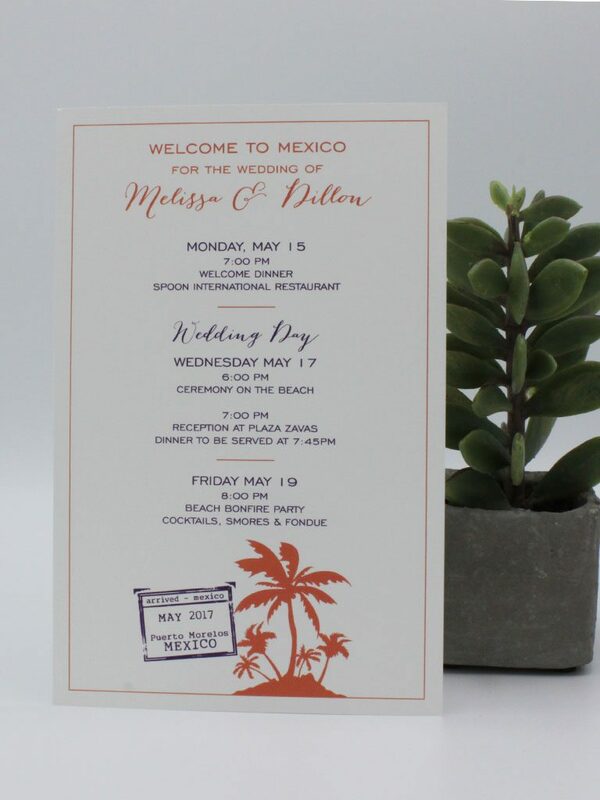 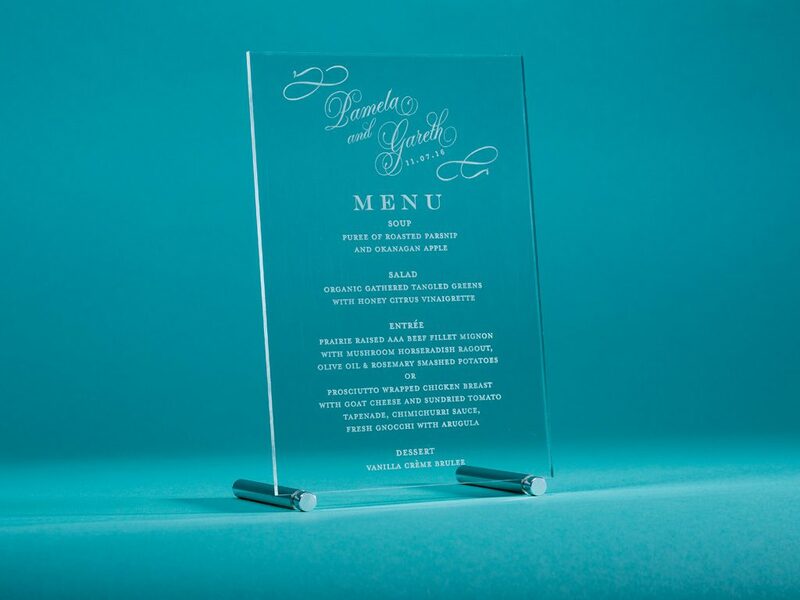 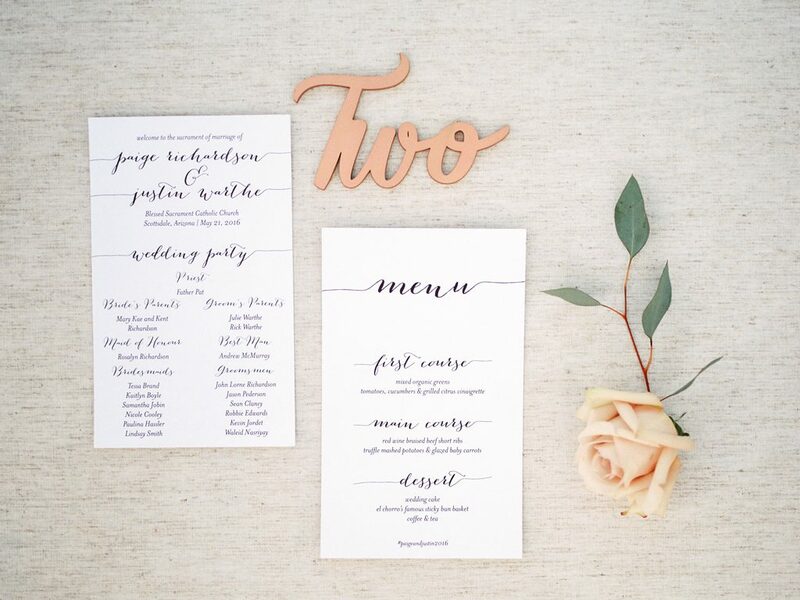 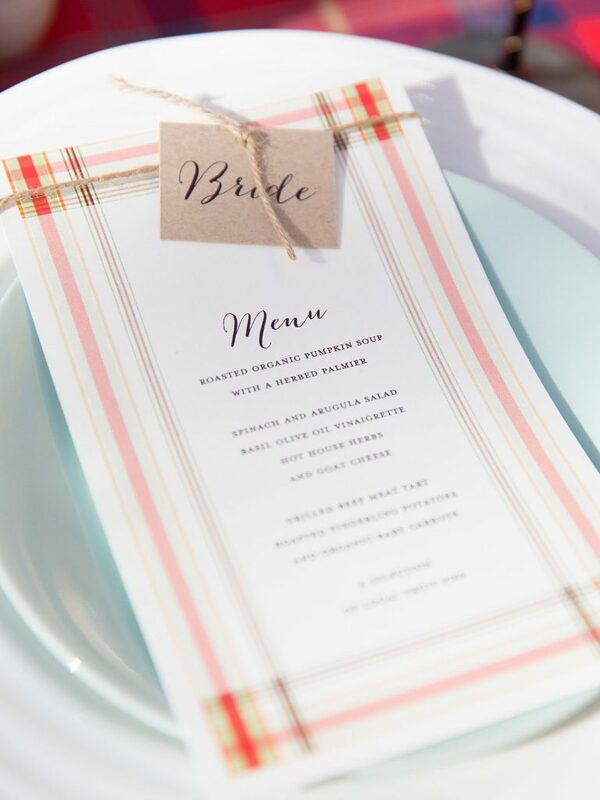 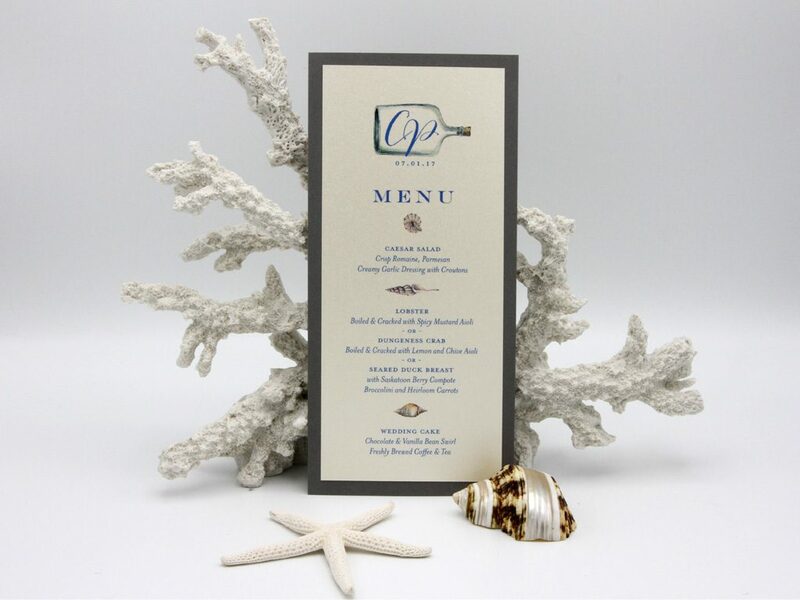 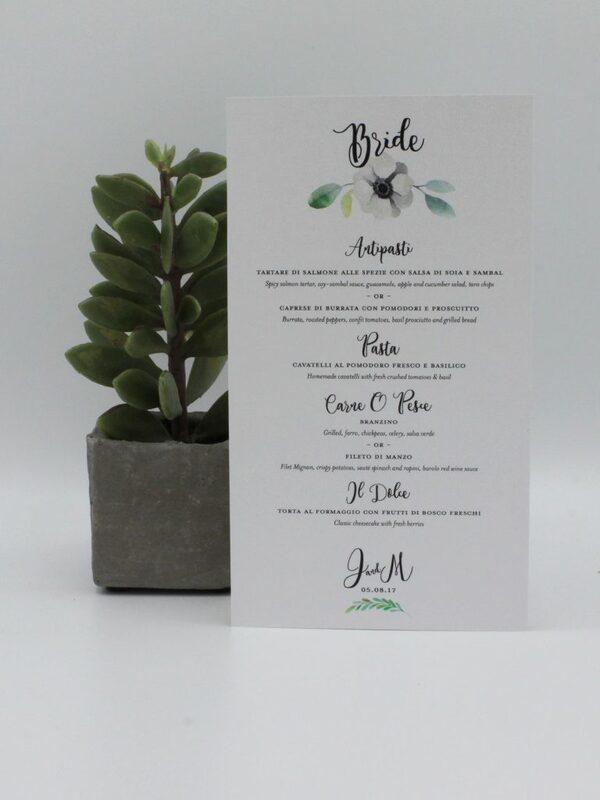 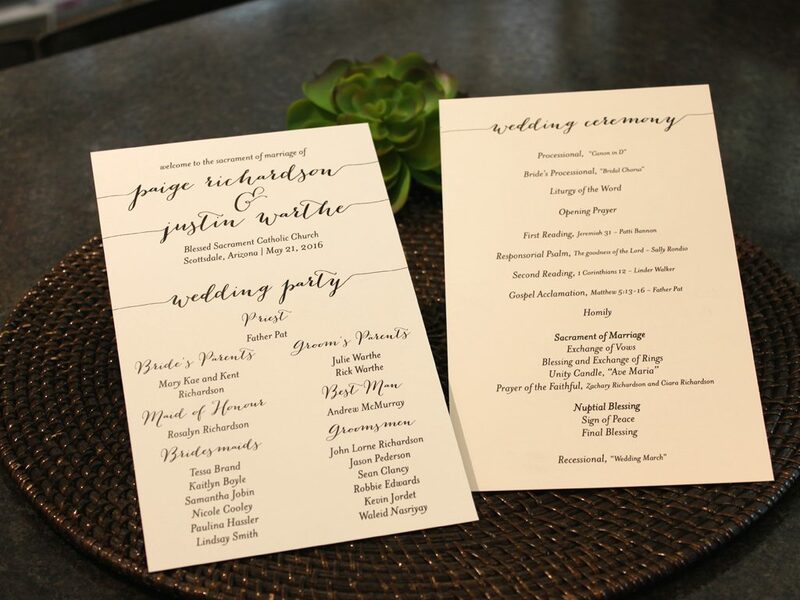 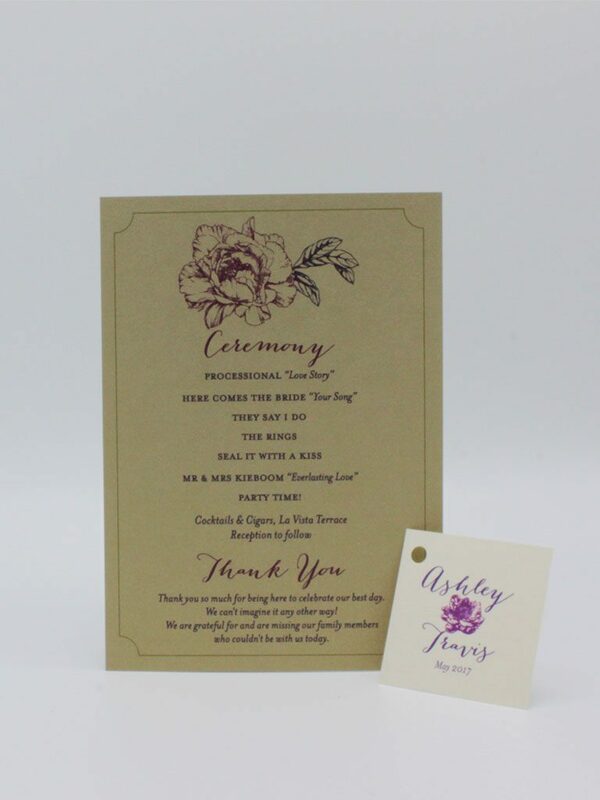 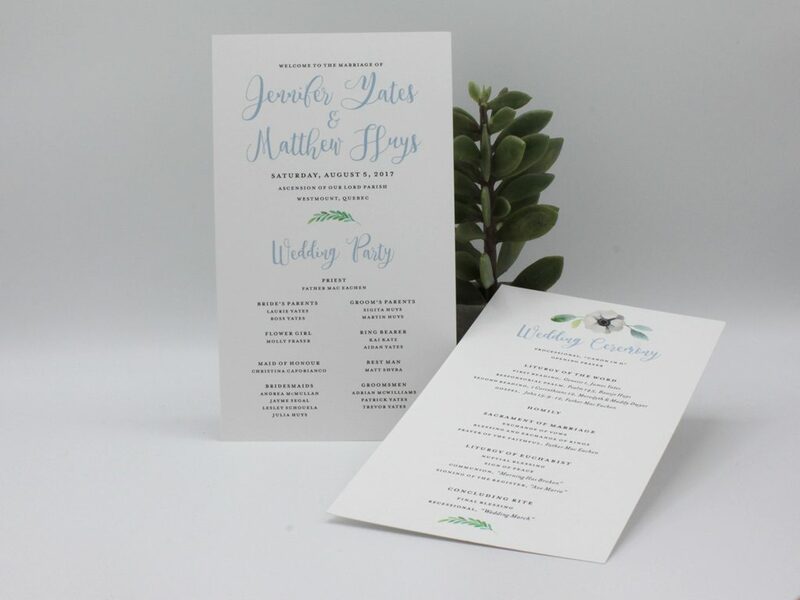 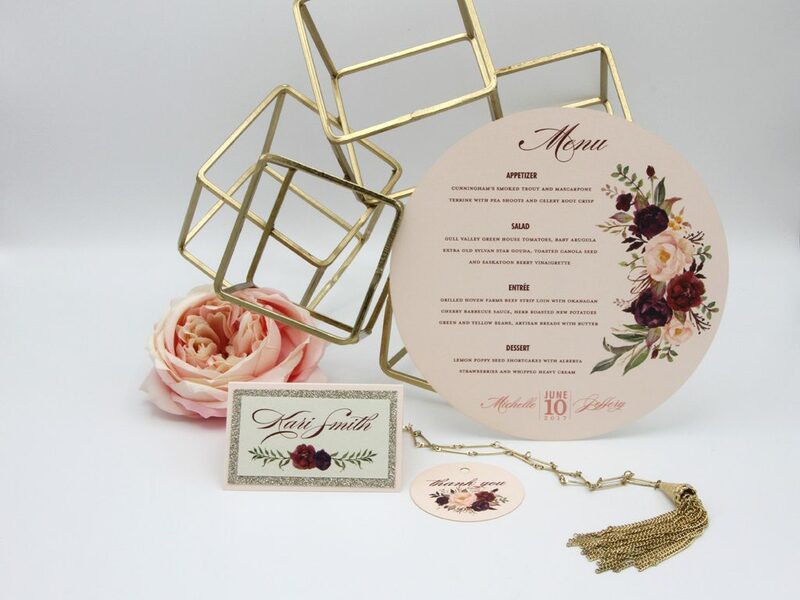 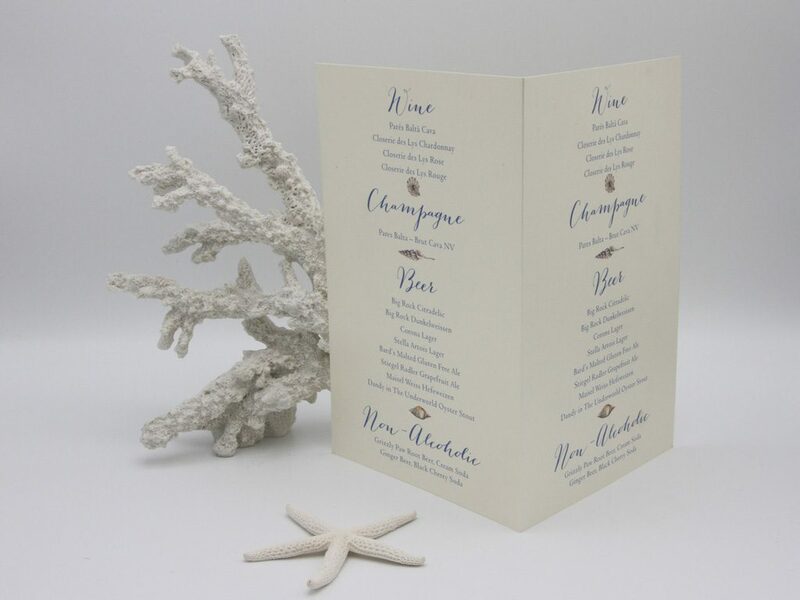 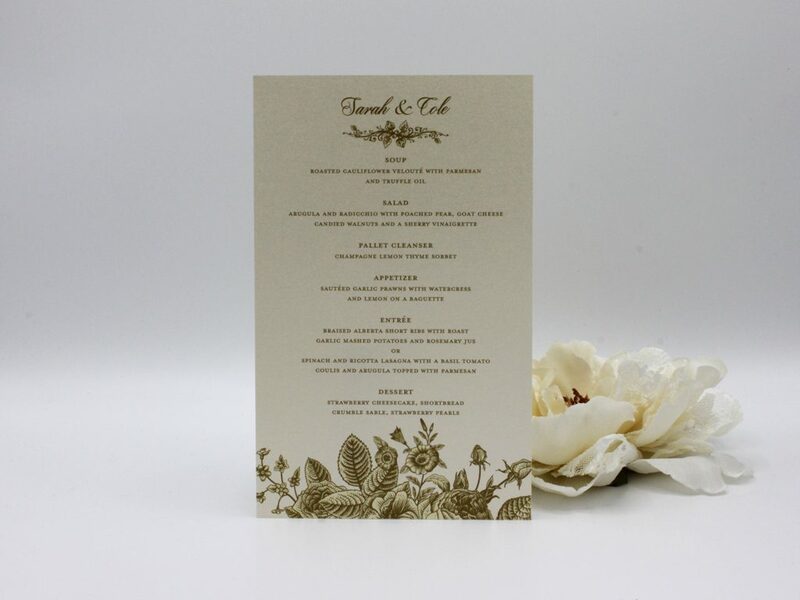 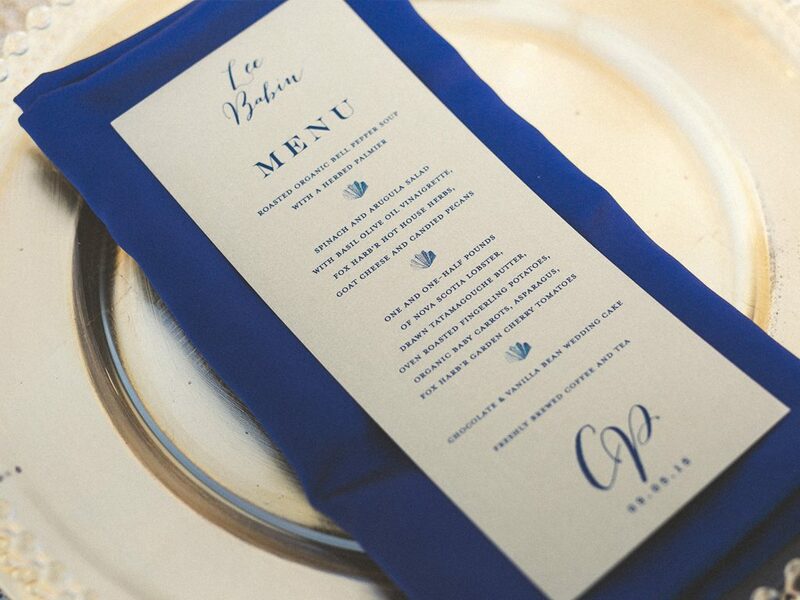 Keeping the style of wording on your menus similar to the style of your other wedding stationary and wedding theme is a great way to tie it all together, if your wedding is formal then use formal wording and a classic font, if it’s a backyard style affair then keep the wording less formal and choose a fun font. 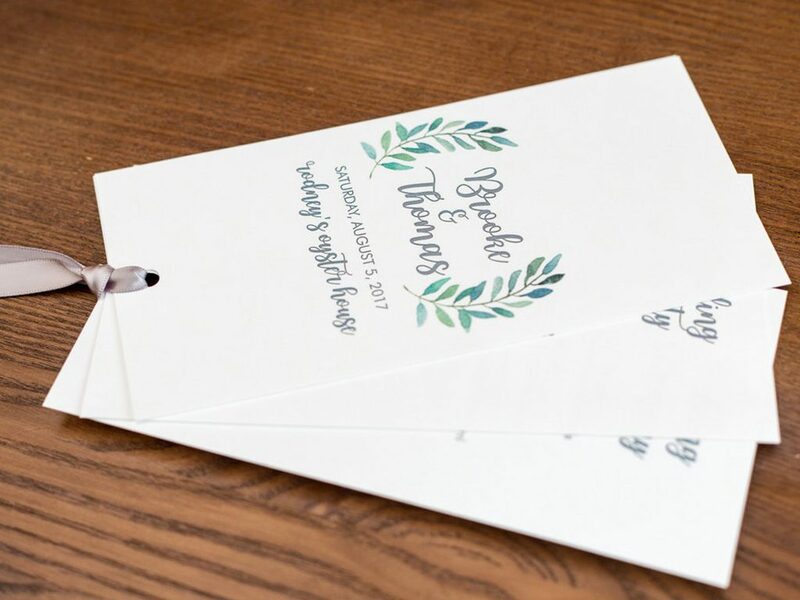 The colors of all of your wedding stationery don’t have to be the same, but it’s a good idea to have them complement each other. 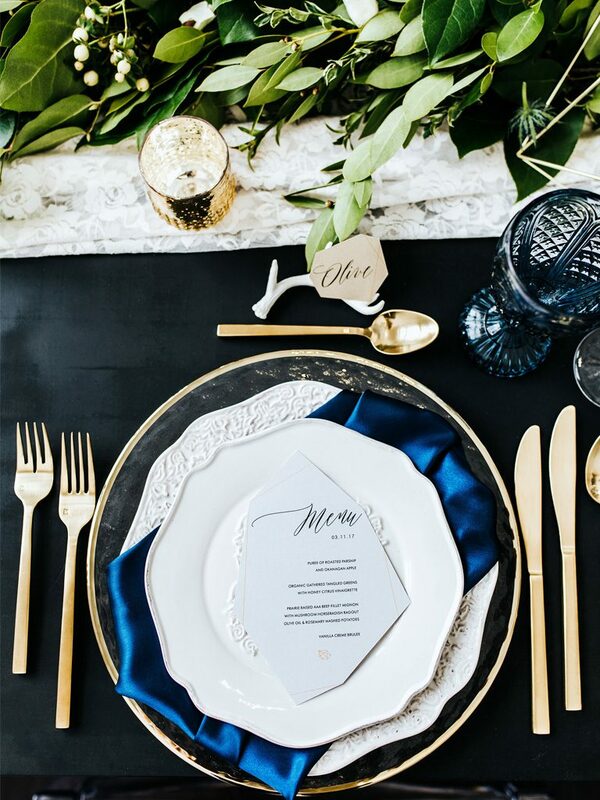 You can choose different shades of the same color, use your wedding colors, or find a color or pattern that contrasts well with your wedding colors.